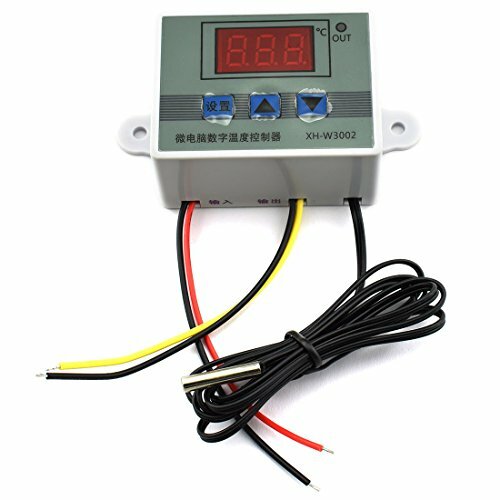 Temperature Control Range: -50 to 100 degree; Input: DC 12V; Output: 10A (MAX), input/output synchronization, can meet all kinds of large power load. LED Indicator Light: Display the current output status; Digital Display Tube: Shows measuring temperature, high accuracy of temperature measuring and controlling. Three buttons for easy operation, to set start temperature, stop temperature, corrected temperature, delay start time. Made of 1.8mm super-thick ABS material, high safety, ageing resistant, sturdy and durable. If you have any questions about this product by HJ Garden, contact us by completing and submitting the form below. If you are looking for a specif part number, please include it with your message.